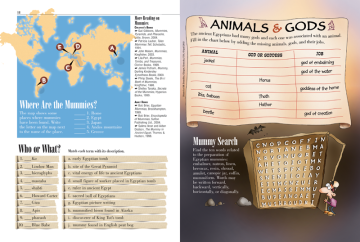 If you think that ancient Egyptians were the only ones who made mummies, think again: In Mummies, for kids, you’ll learn that while the Egyptians are probably best known as embalmers, the practice was widespread among other ancient cultures too. 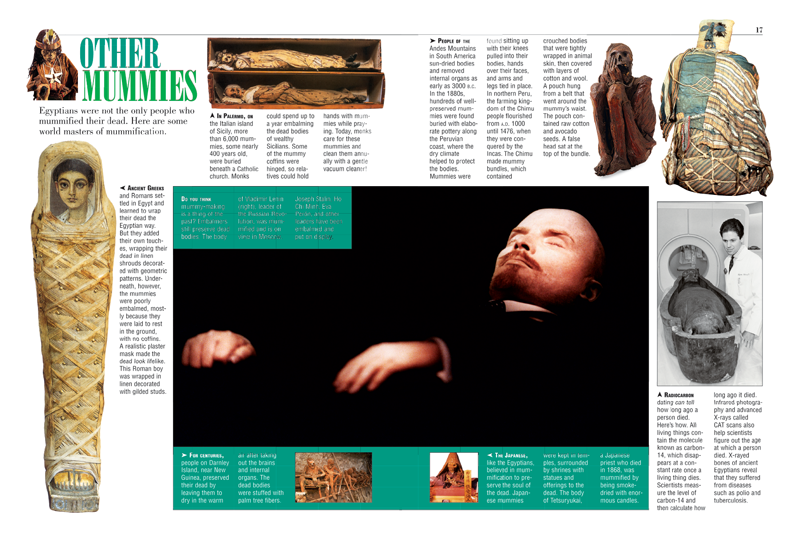 It even continued into the modern era: Witness the perfectly preserved bodies of famous leaders like Lenin and Ho Chi Minh, which can still be viewed today. 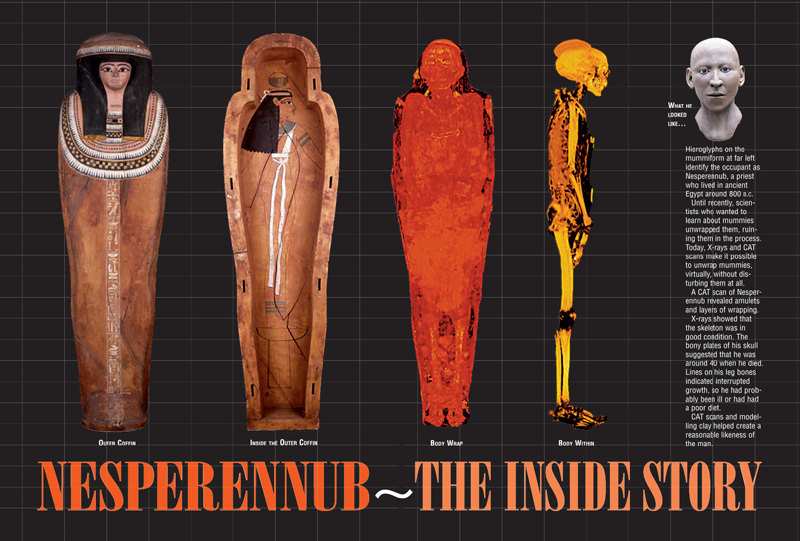 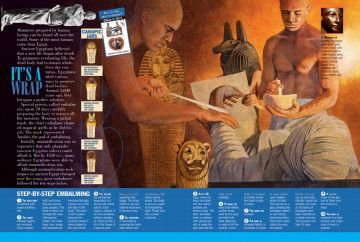 Kids will be taken step-by-step through the intricate and lengthy Egyptian embalming process, then explore the different types of coffins and sarcophagi mummies were placed in, as well as the everyday items that were included for use in the afterlife, such as board games, jewelry, and even bread. 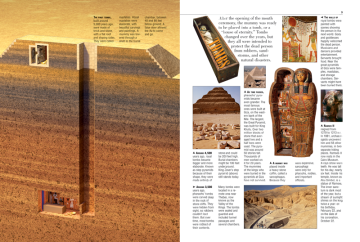 The tombs themselves are explored next; from simple rock-covered pits, they evolved into deep shafts covered by bricks and then into the well-known pyramids we usually associate with mummies. 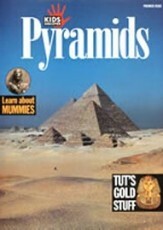 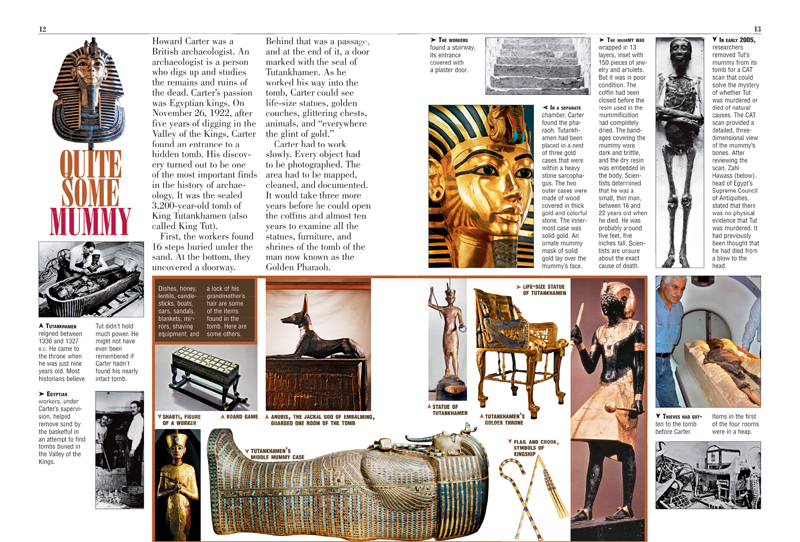 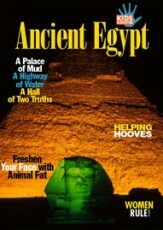 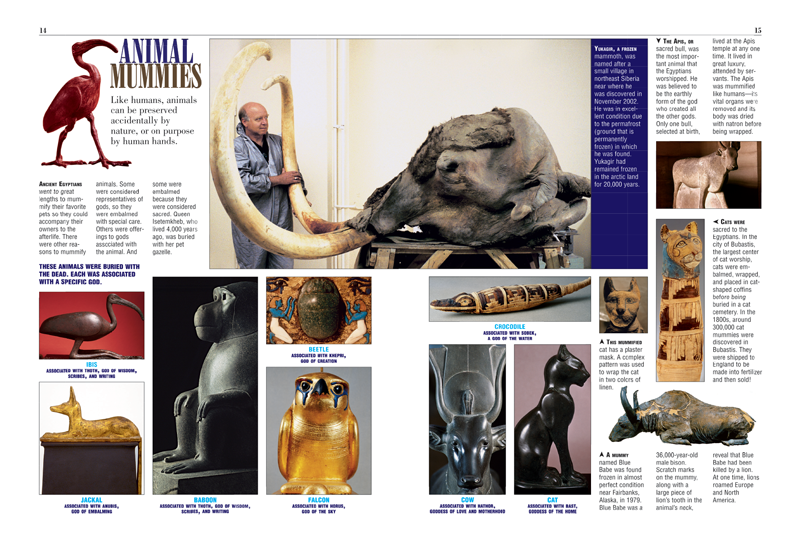 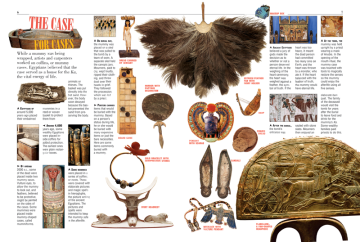 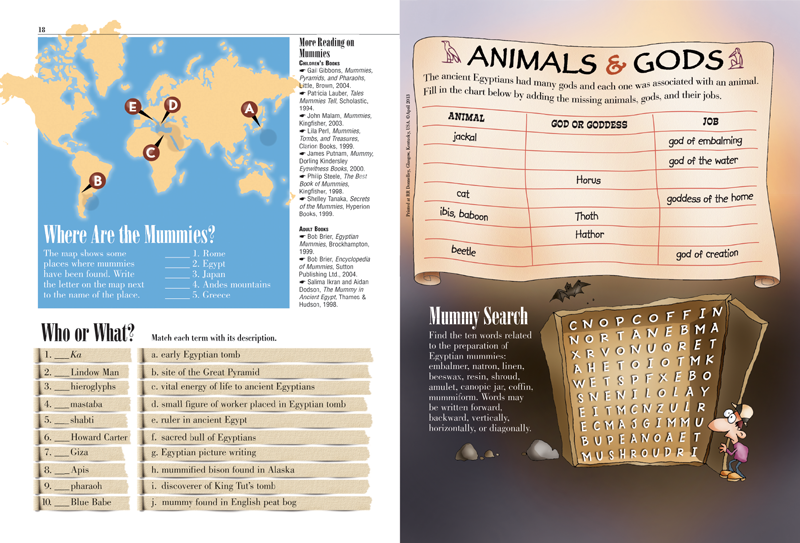 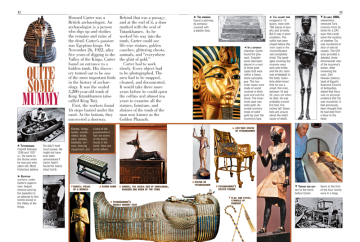 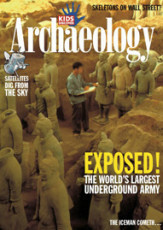 For kids interested in archaeology and famous explorers, the incredible story of how Howard Carter found King Tut’s tomb in 1922, is sure to keep them riveted, while animal lovers will either be fascinated, or disgusted – or both – to learn that it was common for Egyptians to embalm their pets, as well as other animals considered sacred or associated with gods, such as baboons and falcons. 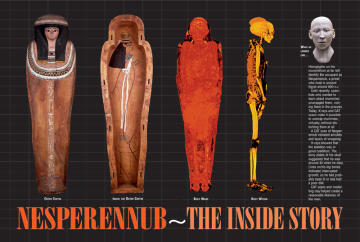 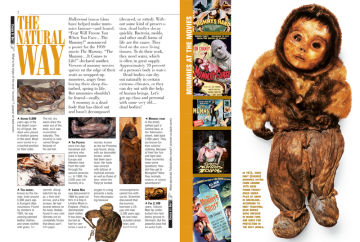 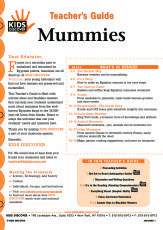 Finally, Mummies, for kids, takes them on a brief tour of mummification methods in other cultures, showing how, though the dead may be gone, they are certainly not forgotten.